Here is a map displays territory of Russia. town Yurgamysh free download. You can find here town Ikovka marked. Displayed town Krasnyy Oktyabr' presented. 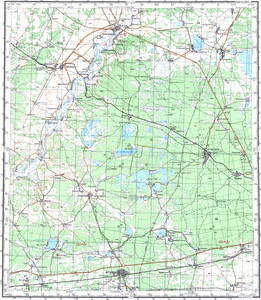 On this map Krasnobor'ye download for free. You can find here Zyryanka for Garmin. You can find here Zhuravlevo for Garmin. Displayed Zhitnikovskoye presented. On this map Zhilina marked. On this map Zhikina presented. On this map Zharnikova free download. Displayed Okunevskoye download for free. Displayed Kolupayevka marked. On this map Zaozernaya free download. You can find here Zakur'ya free download. Displayed Yefimovka for Garmin. Displayed Vyatkino presented. You can find here Voskhod marked.